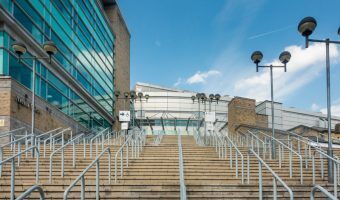 The 02 Apollo Manchester was originally built as a cinema, but since the 1970s has served as one of the city’s major concert venues. 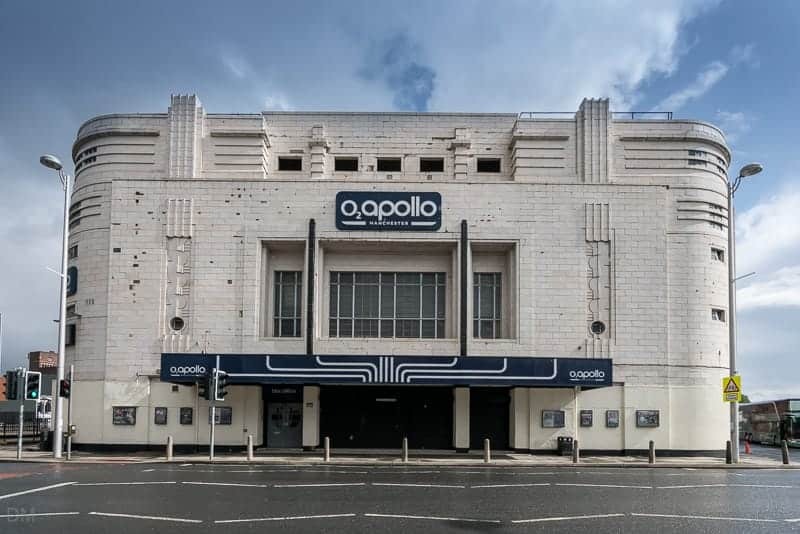 It has previously been known as the Apollo Theatre, Manchester Apollo, and Carling Apollo Manchester. A selection of upcoming shows and events at O2 Apollo Manchester are listed below. Tickets can be purchased here. Friday 13th September 2019 7:00 pm Bianca Del Rio's "It's Jester Joke"
Friday 6th March 2020 7:00 pm The Boys Are Back! More events may be listed on the official O2 Apollo Manchester website (see the information section at the end of this page). The Apollo has a capacity of 2693 for all-seated events and 3500 for standing/seated events (seats are removed from the stalls but remain in the front and rear circles). Seating plans are available on the official website. The theatre is much smaller than the Manchester Arena but many prefer its more intimate atmosphere. The theatre box office is open on event days from 5 pm until the main act takes the stage. 02 customers can purchase tickets up to 48 hours in advance of them going on sale. They can also take advantage of the 02 Priority Queue to gain faster access and enjoy the surroundings of the 02 Priority Lounge. The Apollo is situated on Stockport Road in the Ardwick area of Manchester. Visitors travelling by car and using satellite navigation systems should use the postcode M12 6AP to find it. 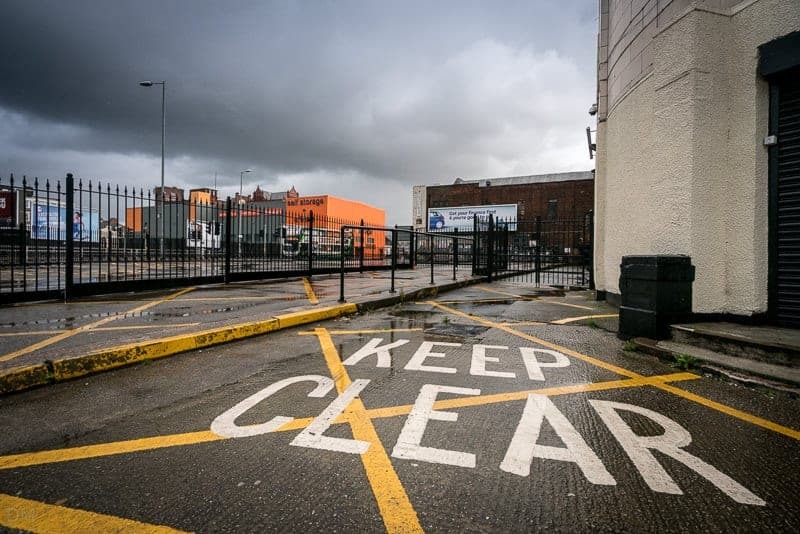 There are two supervised car parks near the Apollo. The main car park is at the rear of the building on Apsley Grove. The smaller car park on Hyde Road offers spaces for disabled patrons. The parking charge at the time of writing (November 2017) is £7. 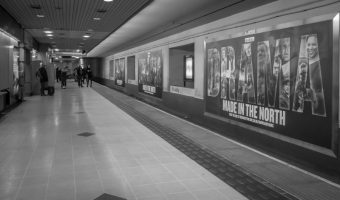 Manchester Piccadilly is the nearest mainline train station and is around ¾ mile from the theatre (Ardwick is closer but has few services). To get there from Piccadilly simply exit the station and head south along the A6. Walking should take around 15 minutes. 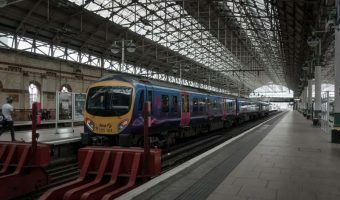 The nearest Metrolink station is Piccadilly, located on the lower level of Piccadilly Train Station. The doors usually open at 7 pm. Smoking is not permitted inside the venue but there’s usually a smoking area set up outside the entrance. Banners, selfie sticks, and professional cameras are not permitted. Small, non-professional cameras are permitted by most artists and their promoters. Ardwick Train Station (0.3 miles) - Small station in the Ardwick area of Manchester. Piccadilly Metrolink Station (0.6 miles) - Metrolink station at Manchester Piccadilly. Map showing location of O2 Apollo Manchester. The information about the box office being open until 12 – 3 Monday to Friday is incorrect. It is only open from 5 pm on show days. Sincere apologies. The opening times of the box office have now been corrected. Yes the Apollo beats the MEN hands down. Bigger isn’t always better. You can actually see the acts and the acoustics are superb plus the place has got real character. Long may it continue. I saw Billy Idol last night. It was absolutely amazing but no support and crap dance music before hand! We had a ball but can’t understand people who don’t dance or sing etc etc boring!! It was nice of Billy to come out afterwards! The Apollo is better than the MEN any day. The sound and atmosphere is just so much better. Plus the Apollo has a better selection of bands. Going to see the Kooks there tonight and the Wombats and Pigeon Detectives in May. The busiest train station in North West England. Metrolink station at Manchester Piccadilly.